More commonly known to other races as the Cave-folk or Stone-people, the Shomu dwell almost exclusively in arid deserts and dry mountain regions. They are a heavily armored mammalian race, similar to rodents and armadillos. Well suited to their dry underground environment they are short in stature, yet possess thick claws for digging and keen eyesight that allows them to see in almost total darkness. This sensitivity to light means however that their eyes must take time to adjust to living on the surface. 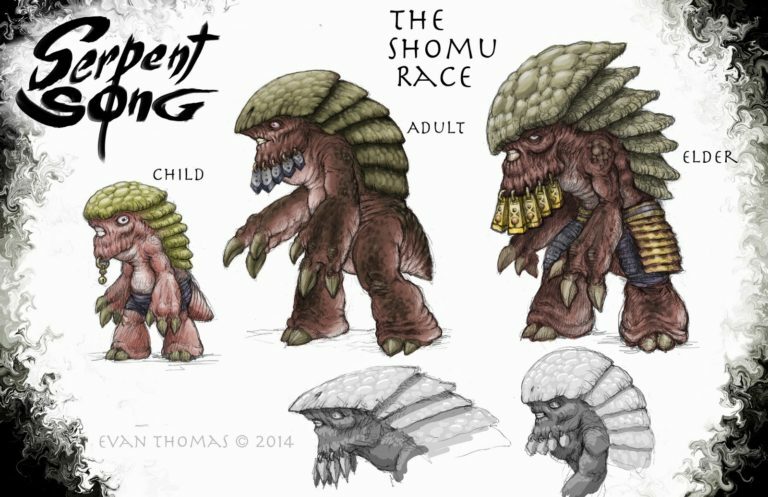 The Shomu’s heavily armored bodies make them notoriously difficult to injure despite their small size. Most Shomu’s hides are also natural breeding grounds for numerous fungi, though too many fungus on one’s body is usually seen as a sign of low-class. Shomu are naturally talented at mining and masonry, and many make their living as construction workers or merchants of precious minerals. 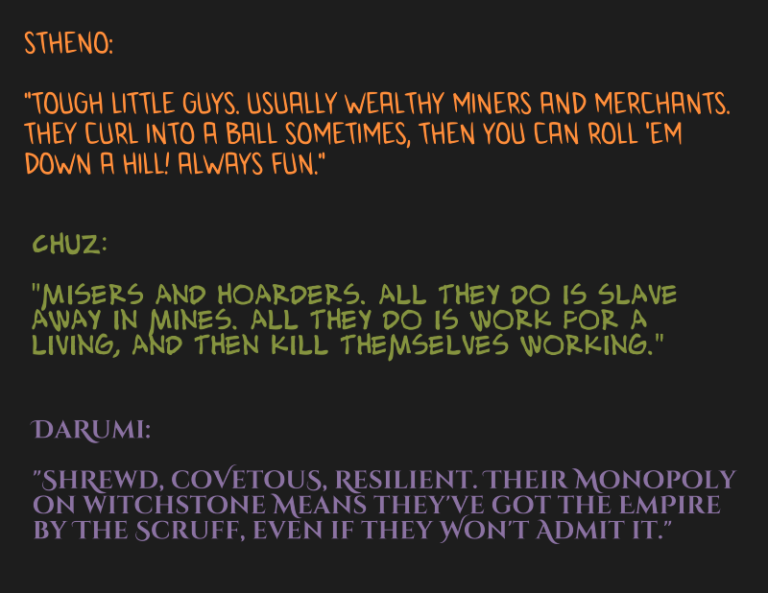 The Shomu’s monopoly over the metals industry makes them an influential part of Imperial economy. As children they wear tiny bells until they grow old enough to deserve “proper” chin jewelry. Chin ornaments are an adult Shomu’s most prized possessions, and are often indicative of social status.